Oscar is home after his operation. Unfortunately the vet couldn’t find the grass seed but he saw ‘tracks’ where it had moved around and killed tissue. He spent half an hour flushing it out but the seed is still hiding. The dressing is to be changed on Friday and hopefully the seed will be found. 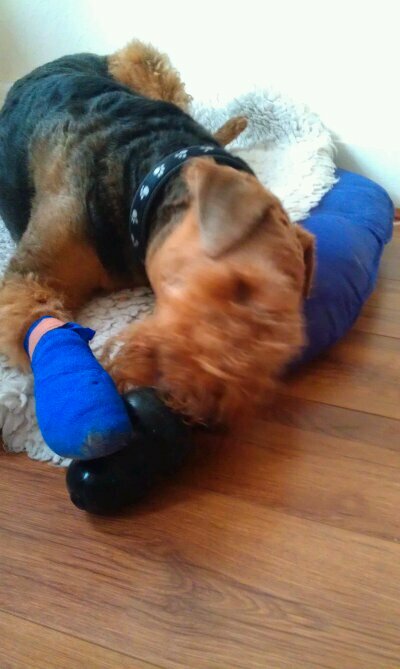 but only whilst he’s being supervised as he keeps trying to remove the bandage. 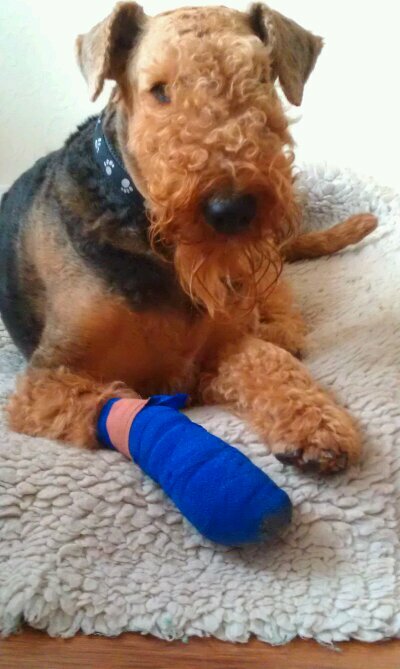 Awww, l hope Oscar recovers quickly and you find the grass seed in his dressing. I didn’t realise these could cause such problems and thanks to your blog l now check Sox regularly after his walks as he loves running through long grass on the moors. Poor Oscar. I had no idea grass seed was such a problem!